Theatre Reviva! 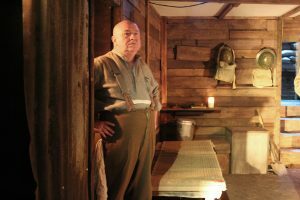 – Theatre's back in the community! 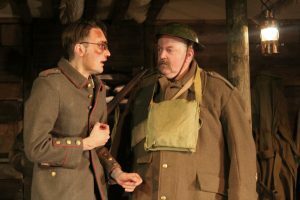 An extraordinary, gripping production of a great anti-war classic, full of beautifully observed humanity: Set in the trenches during the First World War. “What an incredible show. Thank you for this, West End quality in regional theatre. 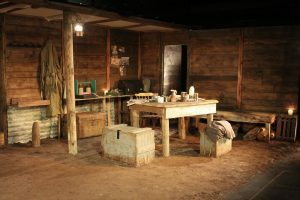 An extraordinary, gripping production of a great anti-war classic, full of beautifully observed humanity: Set in the trenches during the First World War, this story plays out in a dugout over four days, from 18th March to 21st March 1918, during the run-up to the last major German offensive of the War. Click to watch the video trailer! 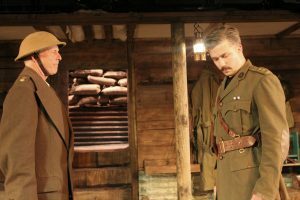 We received many encouraging and praiseworthy comments for our production of Journey’s End. To see all of the comments follow this link. This was our biggest production yet. 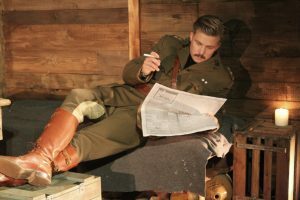 We created an amazing ambience in the Theatre with music of the era, battle sounds, visits from ‘The Trench Experience’, Reservists, Veterans, Combat Stress, SSAFA and the Royal British Legion …. You’ll had to experience it to believe it! 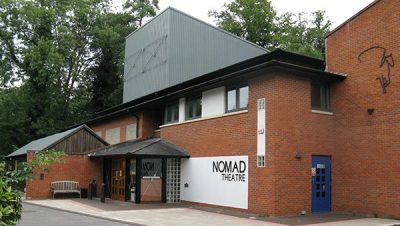 We’re a young, professional Theatre Company from Leatherhead, Surrey (just off Jct9 on the M25). 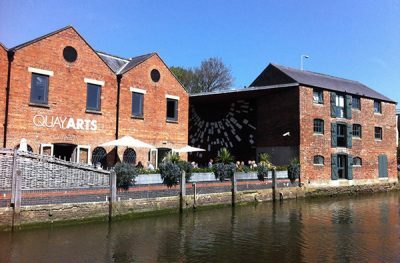 We serve the local area with revivals of popular, entertaining and thought-provoking theatre! We use local talent back-stage and on-stage and we’re bringing back into the community an opportunity for audiences to enjoy seasonal, affordable theatre productions, close to home. Come and see our exciting shows! We are a not-for-profit, professional Theatre Company, serving the local community with popular, entertaining and thought-provoking theatre. Through our association with LAUNCHPAD, we offer young people work experience and a chance to build up confidence. We also use local talent backstage and on-stage, and are bringing seasonal repertory theatre back into fashion! You’ll have a great evening! 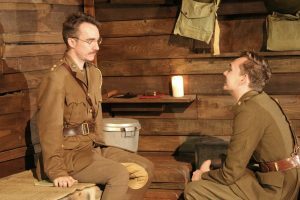 This Summer (2018) we were invited to perform JOURNEY’S END in St. Johns Theatre, Epsom Rd, Leatherhead, and also toured to the main house in the Leatherhead Theatre, Church Street, right in the town centre. Both were great venues for our gripping production. We are reviving seasonal theatre productions in the North Surrey/Surrey Hills area because we passionately believe in entertaining local audiences, at affordable prices, in a proper local Theatre! We present classic and culturally significant plays – as well as fun, poignant and diverting entertainments. 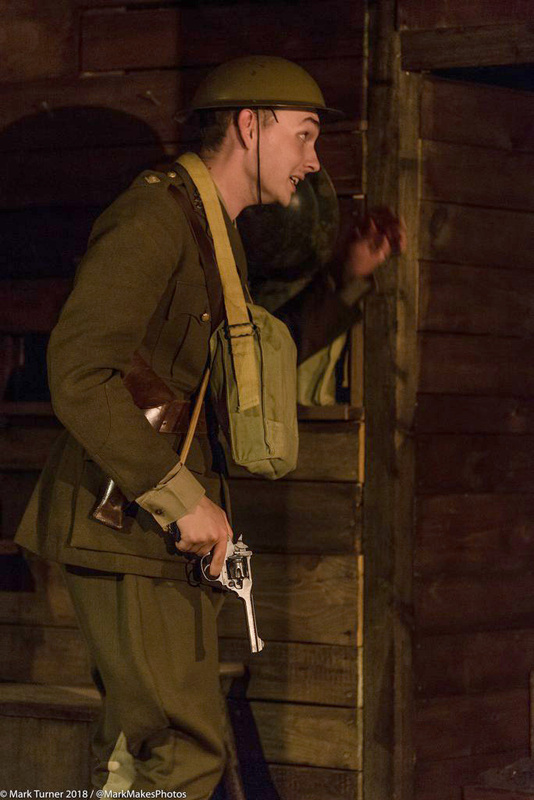 Our productions are always ambitious, popular and often thought-provoking. We are planning to present major shows on schools’ English and Drama curricula – and we’ll be running Technical Skills Workshops for young people in association with Theatrical Youth Training (TYT). 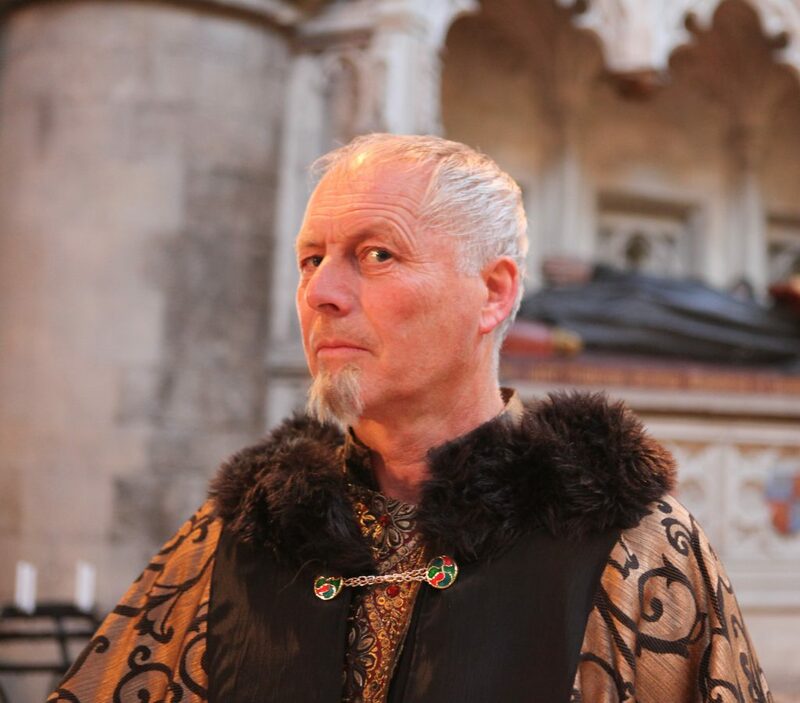 Graham is a Leatherhead resident, an actor, director, producer and communications skills coach. He grew up in West Byfleet and East Horsley, raised a family in Stoke d’Abernon and now lives in Leatherhead with his wife Suki Turner. 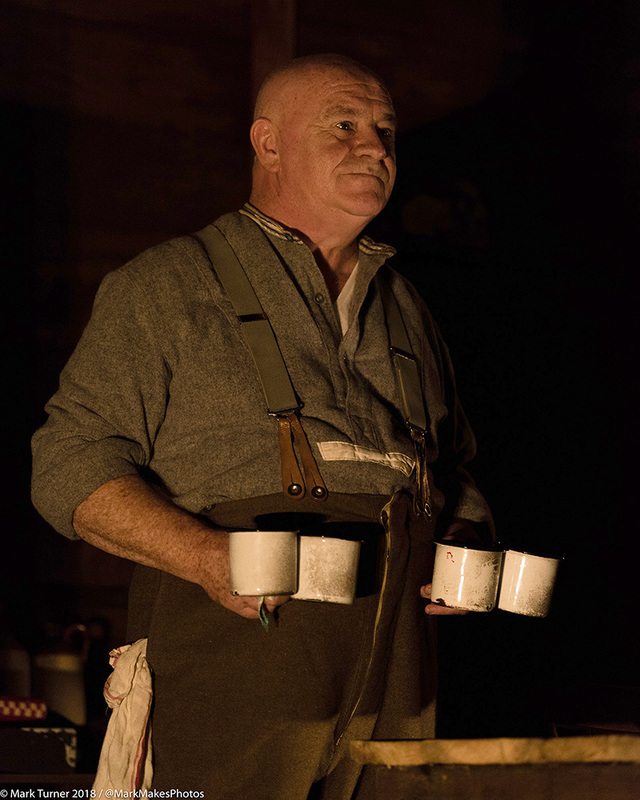 With 45 years in the performing media his career has encompassed Rep theatre in the UK and International touring, working with the Royal National Theatre and in London’s West End. He founded the British Actors Theatre Company in the late 1980s and was a founder and director of The Original Shakespeare Company in the 1990s performing before Her Majesty the Queen in the opening ceremony of Shakespeare’s Globe Theatre. 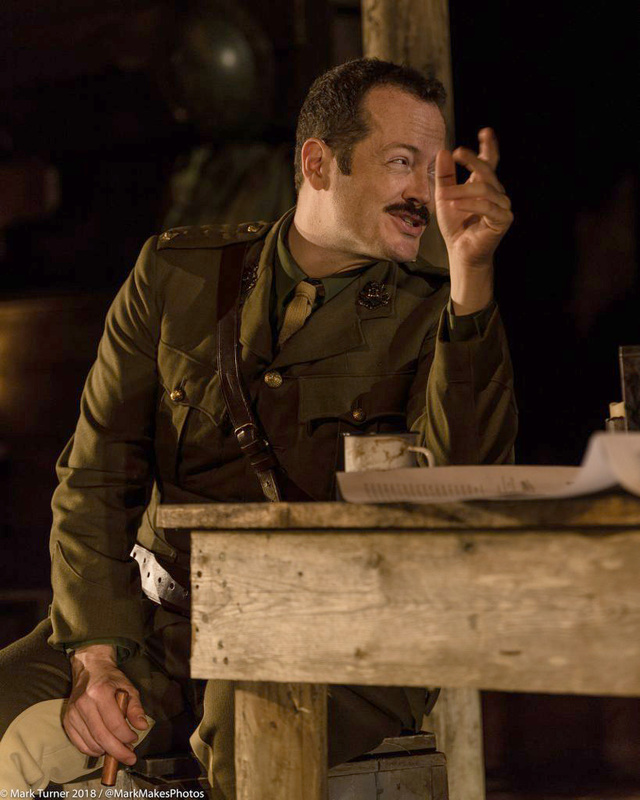 Graham was recently the Associate Artistic Director of the Leatherhead Theatre Rep Company. He is a partner in Centre Stage Dance and Drama, a local Performing Arts school in Leatherhead and Oxshott. 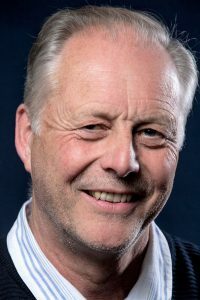 He has been creating, producing and directing plays, films, workshops, radio programmes and fundraising ‘edutainments’ for many years and continues to work as an actor exploring new characters, with credits in popular TV series (eg Howards Way, Life Begins, New Tricks, Hustle, etc). In 2014 he founded the Surrey Hills Community Radio station, based in Leatherhead; and he’s initiating LAUNCHPAD, a social enterprise to help young people build up their self-worth and learn employability skills to lift them off into the world of work.